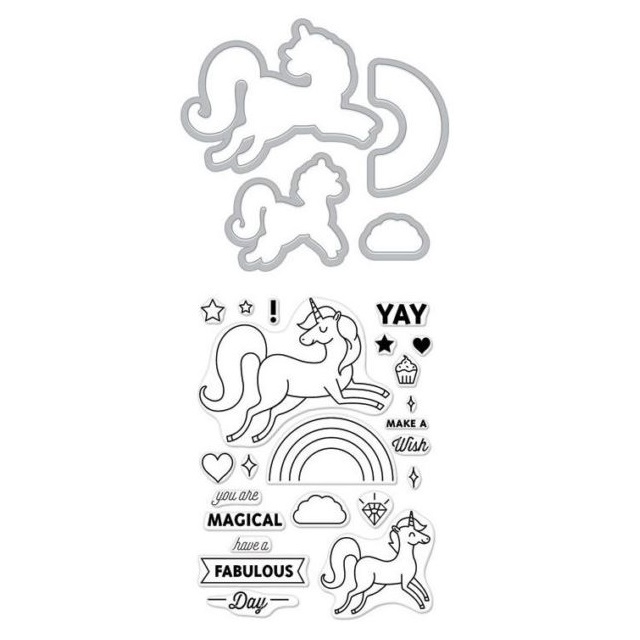 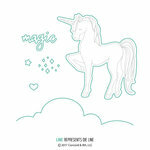 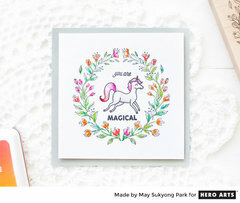 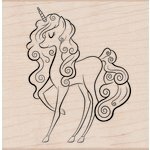 Create one-of-a-kind cards using the Unicorn Die and Clear Acrylic Stamp Set by Hero Arts! 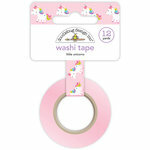 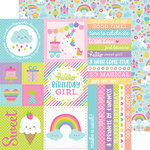 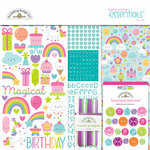 This magical set includes 23 photopolymer stamps and 4 coordinating thin metal dies. 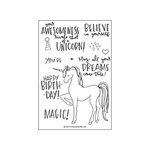 The stamps are made in the USA, come on a handy 3" x 4" storage sheet and measure from .25" x .25" to 2.25" x 1.75". 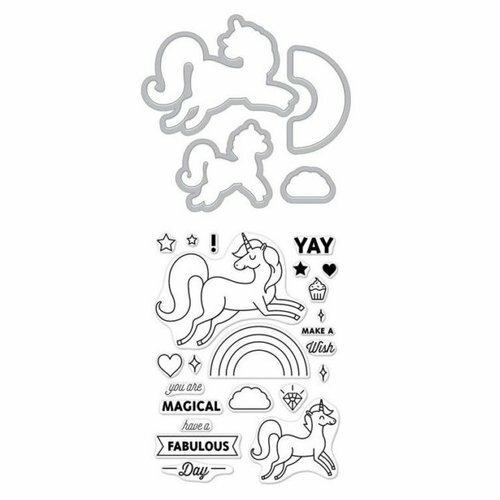 The dies are compatible with most die cutting machines and the stamps can be used with an acrylic block of your choice and your favorite mediums all are sold separately. 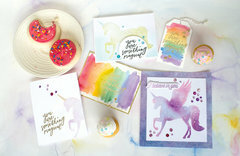 Very Happy with dies and stamps. 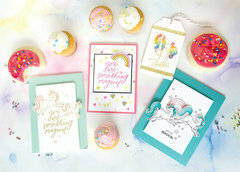 Everything I buy from Scrapbook.com have been great.